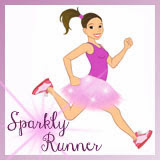 Sparkly Runner: [Unofficial] Goofy Challenge Training Plan: 8 Weeks of Pure Magic! 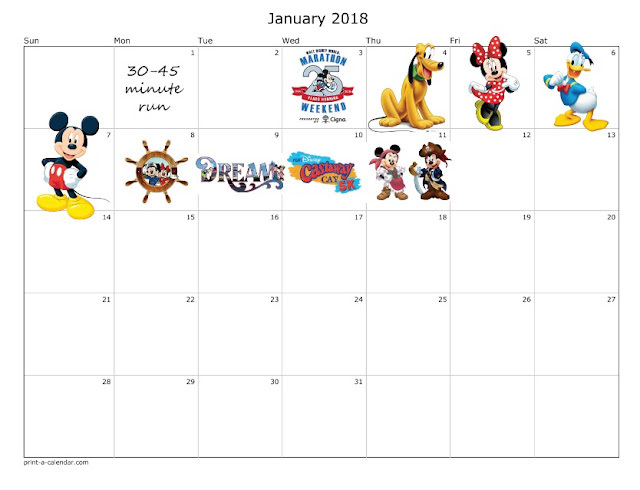 [Unofficial] Goofy Challenge Training Plan: 8 Weeks of Pure Magic! Disclaimer: I am not a doctor nor a running coach. 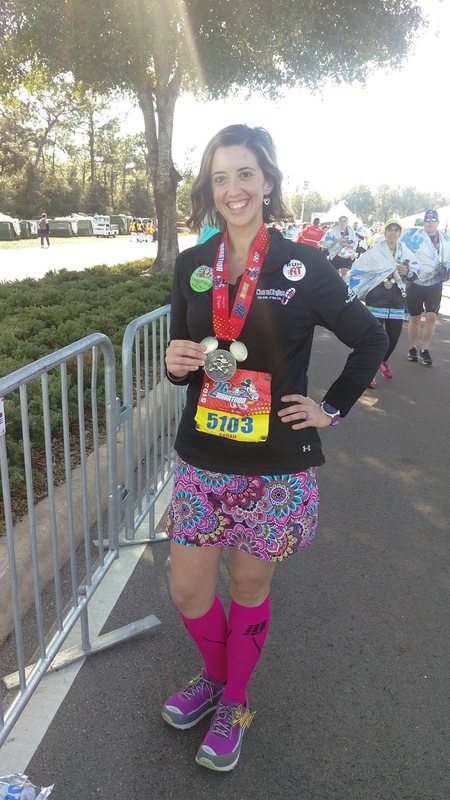 All information found here is one experienced runner's plan for an upcoming race weekend. Please consult your physician and/or running coach before starting any running program. In eight weeks (or 57 days), I will toe the start line for the Walt Disney World Half Marathon and then the very next day, line up again for the Walt Disney World Marathon. I might be a little Goofy (please forgive my bad puns 😃), but hopefully with the right training, I can cross both finish lines upright with a smile on my face. 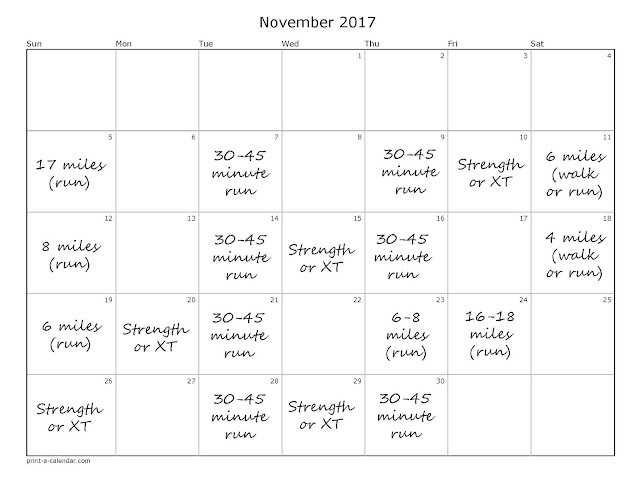 Since I am jumping into training at about the halfway point (most marathon plans are 16 weeks long) I don't have to condense these last eight weeks, which is awesome. I had been pondering adding the marathon for a while before signing up two weeks ago, but knew I wanted to sign up for it with enough time to train- safely and with the lowest possible risk of injury. This will be my fourth marathon. For the first one, I followed Jeff Galloway's Dopey Challenge training plan to the letter. I never missed a single training run, reached all four start lines without injury, and finished each race feeling awesome. For my second marathon training cycle (Pittsburgh Marathon 2015), I followed a modified Galloway training plan. I also added in several strength training and yoga sessions. Even though I ended up having some feet issues (imagine that, right?!) which kept me from some of my long runs, and I only trained up to 15 miles, I finished Pittsburgh with a new PR and feeling really strong. 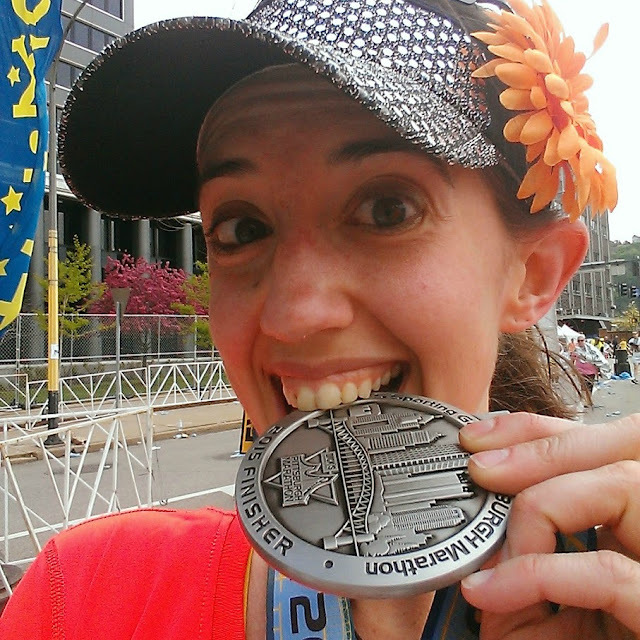 2015 Pittsburgh Steel Challenge (5k + 26.2) finisher. 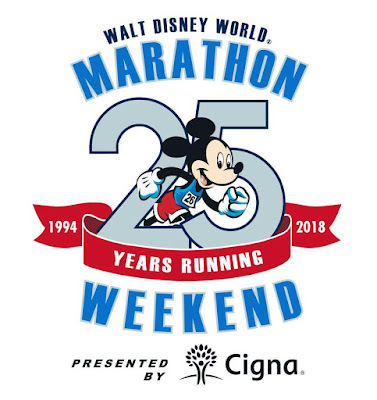 My third marathon (WDW Marathon 2017) is actually the only one that I didn't complete as part of a challenge. However, this training cycle proved to be challenging enough! I followed Galloway's Walt Disney World Marathon training plan until early December when I had excruciating, unexplained foot pain that put me in a boot for about three and a half weeks. I was able to run long runs of 13, 15, 17, and 21 miles before the boot. Then I did absolutely no running for almost a month before the race. The actual marathon was painful. Really, really painful. But I finished, upright and smiling. 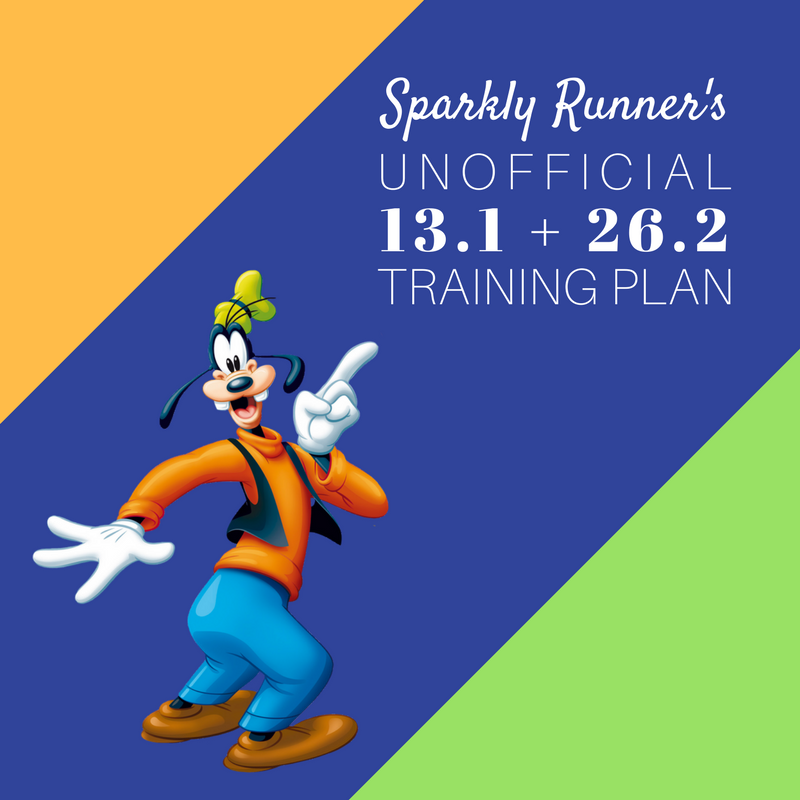 So, with three 26.2 mile journeys under my belt, I wanted to combine everything that's worked for me in the past into this Unofficial Goofy Challenge training plan while still minimizing my risk for injury. If you google "8 week marathon training," you'll find a variety of training plans. Most of these include 4-5 days a week of running and then another 1-2 days of cross or strength training. However, with my injury history, there's no way I'm running more than 3-4 times a week so none of these plans will work for me. I created my own 8-week plan using Galloway's Goofy Challenge training plan as an outline, basically matching up the three remaining long run distances with weekends that would work with my calendar. Also similarly to Galloway's plan, on the off-long run weeks, I have planned for 6-10 miles on consecutive days to get my legs used to running tired. I will be earning my turkey in a few weeks, that's for sure! 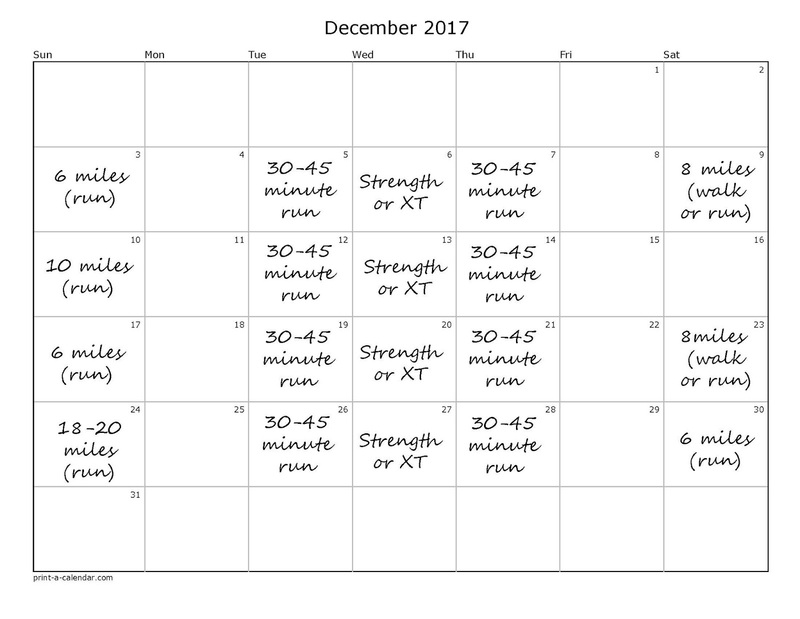 In addition to the long runs, I scheduled two, 30-45 minute easy conditioning runs and one cross-training/strength session per week. An important part of any training plan is flexibility- this plan should allow me to get in the miles needed to finish the races but also allow me to move things around if needed. You may notice that the most mileage I'll run is only 18-20 miles. I've been doing some research about how far one should train up to for a marathon and there are a couple schools of thought. Some folks think you should run at least three, 20+ mile runs. Some folks think you can successfully train by only running three, 16-17 mile runs. Since this is my fourth marathon, I'm ok doing three, 17+ mile runs to prepare for the race weekend. 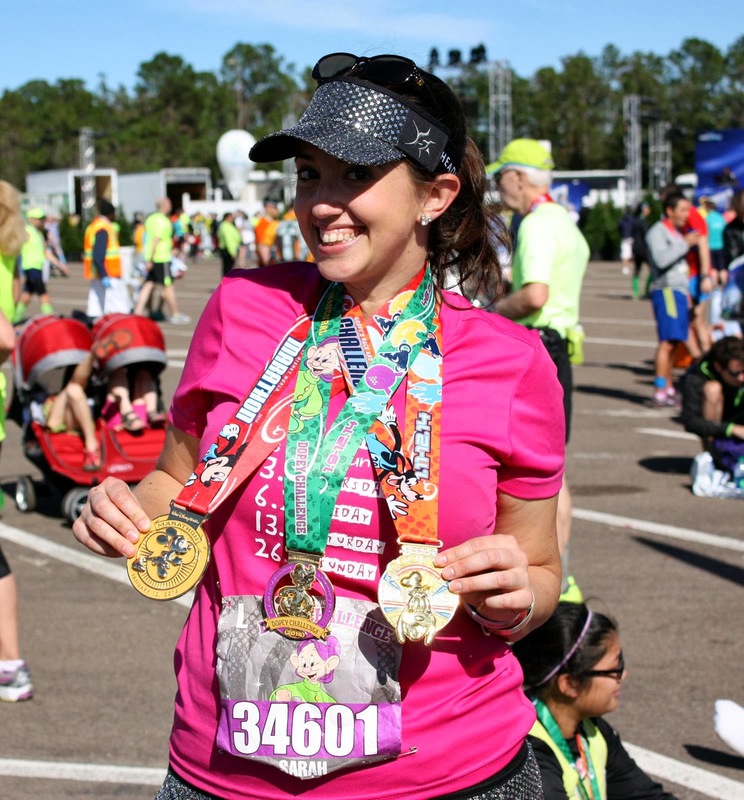 Will I go into Walt Disney World Marathon a bit under-trained? Perhaps. But, I'd much rather get to the starting line a little under-trained and healthy than potentially miss the races by training too hard or running too much. I'm hopeful this plan will get me to the goal: finish both races upright and smiling! How do you train for races? Do you follow someone else's plan or do you create your own? Wow, sounds like you’re taking a really sensible approach to this training. And definitely sounds like you have the past experience to back it up! It’s so important to train based on what we already know about our bodies and reactions to running. 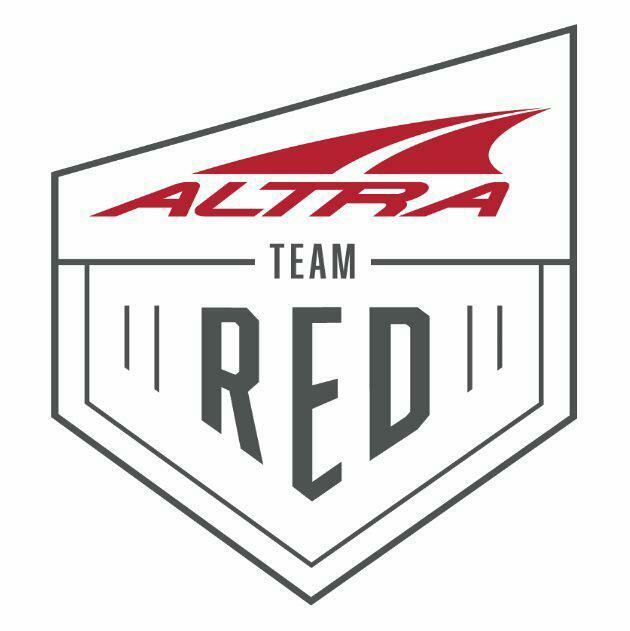 Good luck with training :) Looking forward to following along! I love this! You and I have similar running experiences and training plans. My best marathon (PR, felt great during and after) happened when I peaked mileage at 16 miles. I'm also injury-prone so it's more important to actually get to the Start pain/injury-free and moderate throughout the race. I'll be doing Dopey for the first time this year! 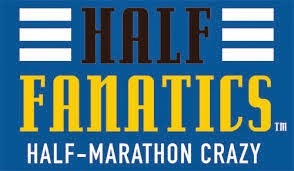 Hope to see you at the half-marathon and marathon! Oh you will LOVE Dopey- it's such a life-changing, cool experience. Maybe we can meet-up at some point?! Good luck with training!